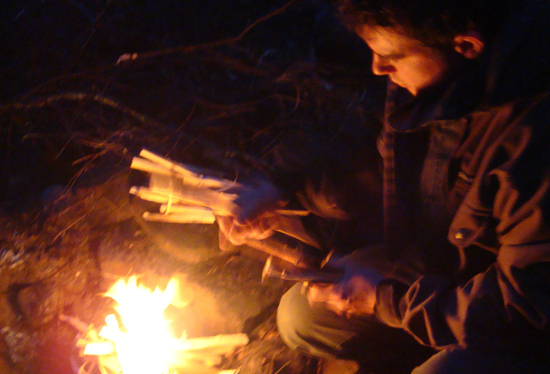 Using bushcraft skills as part of modern-day outdoor life. Lighthing a fire at a camp during a canoe trip in Ontario. Photo: Amanda Quaine. In the past our forebears used bushcraft in a way that allowed them to live very close to the land, much closer than you or I do today. These days many of us are heading to wild places equipped with a combination of bushcraft skills and modern equipment. 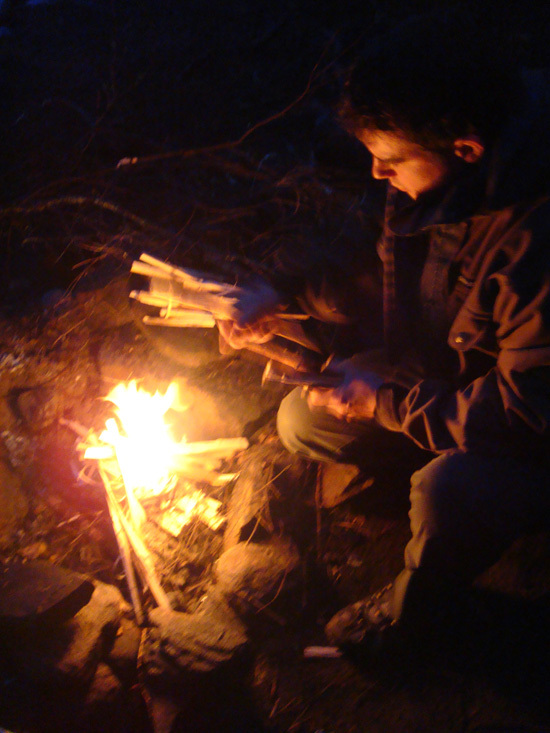 In this way, we use our bushcraft skills as part of our modern-day outdoor life. Many of us also recognize that bushcraft skills would be very useful should a survival situation occur in a wilderness setting. If you are serious about being able to employ your bushcraft skills efficiently in a survival situation, it’s necessary to think about your bushcraft skills in very objective and practical terms. A suitable framework for your skills in this context is the way that military survival is often taught. Medical treatment, using your first-aid knowledge in combination with available materials. In common with our ancestors, skill and knowledge are more important than equipment. These can be carried with you wherever you go. In a survival situation, you should treat any piece of equipment you have as a bonus. Be positive about what you have. A positive mental attitude and an unwillingness to give up are, above all else, the most important qualities of survivors. Some bushcraft skills can take many years to master, yet only a few hours of survival training have saved lives. Hence, you shouldn’t concentrate on one area of bushcraft to the exclusion of others. You should have a solid grounding in all the fundamental building blocks of the subject. You will no doubt find having such a rounded knowledge rewarding in itself. It also means you are less likely to have a weak link in your skill-set if you really do need to rely on your skills for survival. Remember PLAN-M. Before heading out, get some first aid training and PLAN your skills for survival. I have to say that for the last few hours i have been hooked by the amazing articles on this blog. Keep up the great work. Thanks! Glad you found it so interesting and useful. Thank You! some great Video’s n text!Has taught/reminded an old dog of a few new tricks! screen!especially as I have already subscribed. Heading for the Forrests of Croatia,(Papuk Area)Hunting wild boar,an living the “good life”haha,on weds! Croatia sounds like an adventure. Enjoy! Michael… OK, I’ve looked into the pop-up settings. You should only be seeing the pop over on the articles every 10 days maximum. That said, if you do not have cookies enabled or are continually changing your IP address, this site will treat you like a new visitor (because as far as it knows you are one) and show you the pop-over. Thanks Paul it seems to have sorted its self out.